State Formation in Europe, 843–1789 follows the formation and development of the European state from the division of the Carolingian Empire to the French Revolution. The book’s primary focus is on Europe’s patterns of internal and external development in comparison to political organisation in other parts of the world. By analysing Europe as a single unit, rather than dividing it into nation states, it reveals the broader historical connections within the continent. Bagge takes the reader through a discussion of how kingdoms evolved into states, introducing the influence of the Church and the town on these state structures. The relationship between state, Church and town is traced to explain how these different power struggles played out and why the territorial state became the dominate form of organisation. Finally, the book clarifies why Europe developed in this way and the global consequences of this development. By observing Europe through the perspective of the rest of the world, readers gain insight into trends common to the whole Continent whilst crossing the traditional border between the middle ages and early modern period. 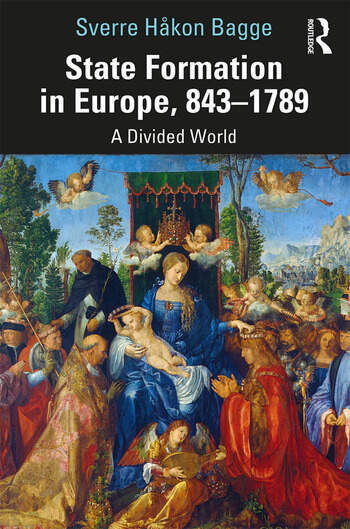 This book is essential reading for students studying medieval and early modern political history, state formation, and Europe in a global context. Sverre Bagge was Professor at the University of Bergen from 1991 to 2012. His books in English include: Society and Politics in Snorri Sturluson’s Heimskringla (1991); Kings, Politics, and the Right Order of the World in German Historiography c. 950-1150. (2002); Cross and Scepter. The Rise of the Scandinavian Kingdoms From the Vikings to the Reformation (2014).